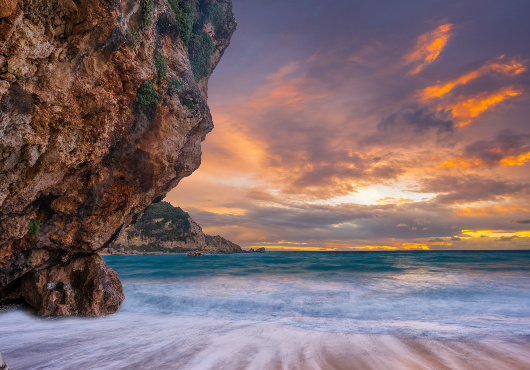 Enjoy the amazing islands of Ionian sea and get ready for your sailing trip. Our base managers will help you with all thenecessary information. Our main base at Lefkas is easily accessible by car by the National Road or via an aeroplane through Aktion (Preveza) Airport. Sailing the Ionian from Lefkas is ideal for relaxingsailing vacations since the distances between the islands are short and the weather is always peaceful. The total route is 81NM and 11 hours and 45 minutes. Even if the check – in begins at 17:00, there is no need to spend the night at the marina. In a 7-day trip, every day counts. Take advantage of the evening and begin sailing down the narrow Lefkas channel. 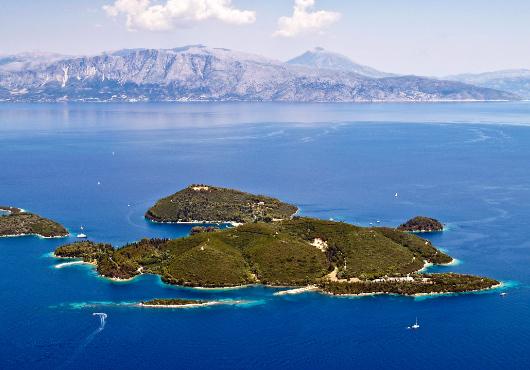 Sail past Sparti island and continue to Skorpios, the private islands of the famous Onassis family.While cruising the coastline of the island you can see the Onassis family beach with its taverna and Jacky Onassis’s pink, private villa.Between Vathi and Atheni port lies Abelike Bay which is considered as the most beautiful of the three available anchorages in Meganisi. The bay is calm, surrounded by olive groves and clear blue waters. Spend the night there where the local restaurant offers good food and will also help you moor on their floating pontoon. 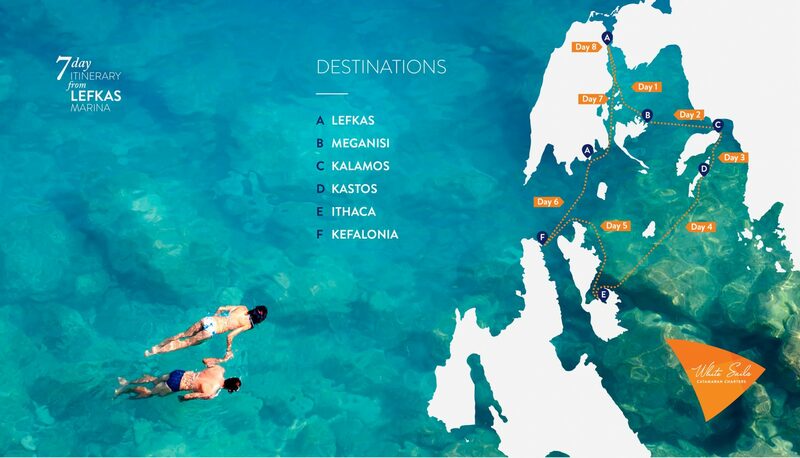 Sail to the east and swim at the beaches at the NE area of Kalamos. 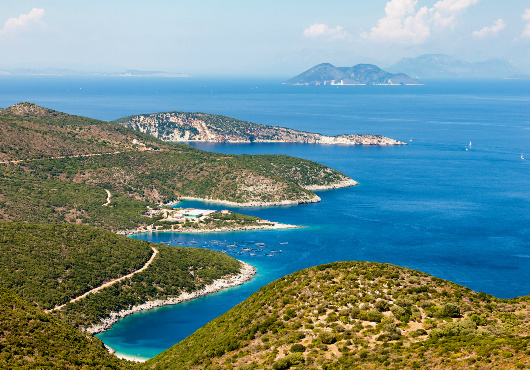 Kalamos is a Greek island where you can enjoy the beauty of its green scenery. Visit the town of Kalamos which is also a safe port with a relatively good anchor hold. Enjoy some seafood at a family-owned seaside restaurant where you will get delicious and authentic local food. They will typically greet you on arrival and assist you on berthing your vesselto spend the night. Continue towards the still virgin island of Kastos. This is where you will spend the night feeling like you’re at the edge of the world. 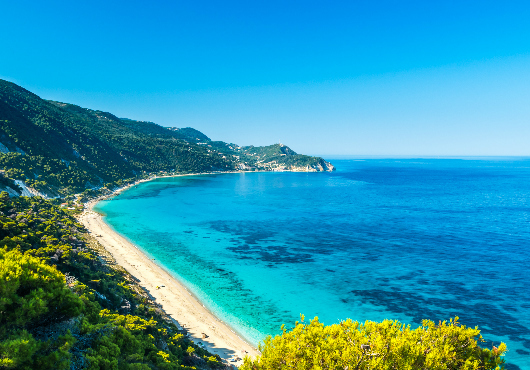 Quiet and tranquil, the beautiful southern Ionian island of Kastos has a very small population and only one village. There are a few Greek tavernas and restaurants where you can enjoy some excellent food. The port of Kastos is very scenic and definitely worth a visit whilst on an Ionian yacht charter holiday. The bays to the south of Kastos are also lovely and many are suitable for overnight mooring. 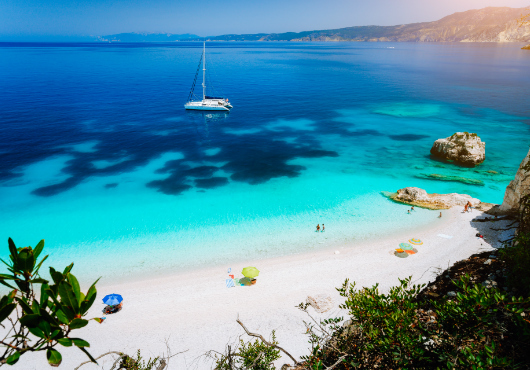 Sail to Atokos and swim at the beautiful beaches of this uninhabited island. 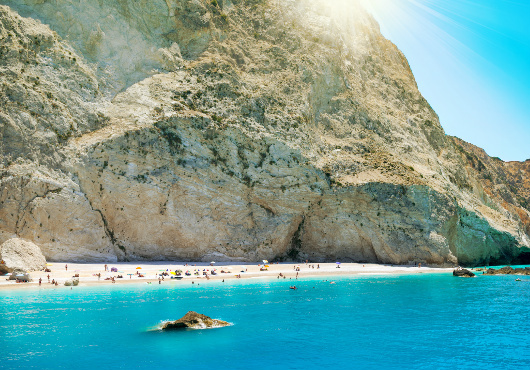 Atokos is a deserted island with beautiful beaches on the South and East coast and impressive cliffs. Sail all the way to the south tip of the island stopping at the beaches along the way. 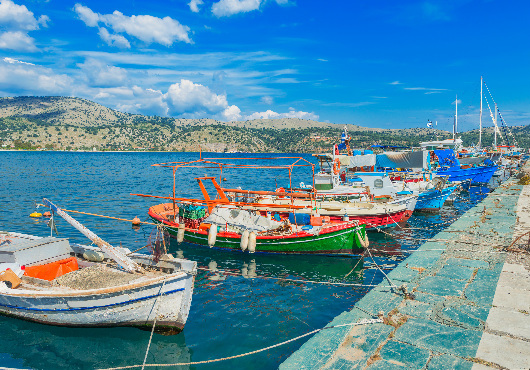 Later on, sail towards Ithaca and moor at Vathi, the capital of the island.The harbor of Vathi is considered one of the safest natural harbors in Greece. 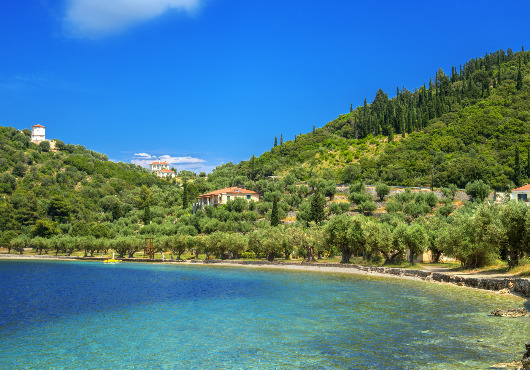 Modern Ithaca is generally identified with Homer’s Ithaca, the home of Odysseus, whose delayed return to the island is one of the core elements of the Odyssey’s plot. Continue North and stop at the breathtaking white beaches called Frikes (bay on the north of Ithaca). 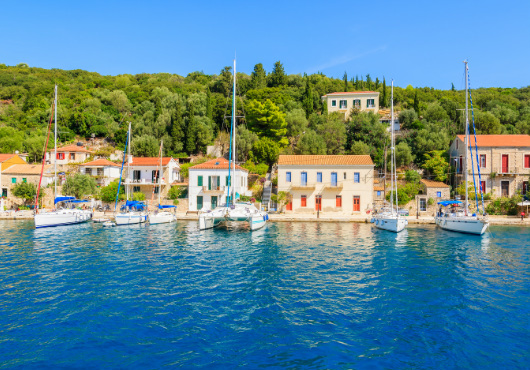 Sail at the most cosmopolitan port of Kefalonia, the world renowned town of Fiskardo. 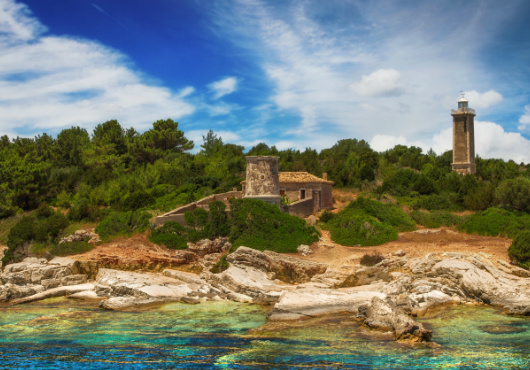 It is located on the north-eastern tip of the island and is known for its 19th century Italianate architecture that still remains intact. There are plenty of shops, boutiques, tavernas and nightclubs at the pretty harbor. Fiscardo is a good place from which to explore the fortresses, monasteries, museums and hiking trails of the northern part of the island. It is also within easy reach of some wonderful snug and secluded coves with crystal clear waters, ideal to anchor for an afternoon of swimming, snorkeling and relaxation. 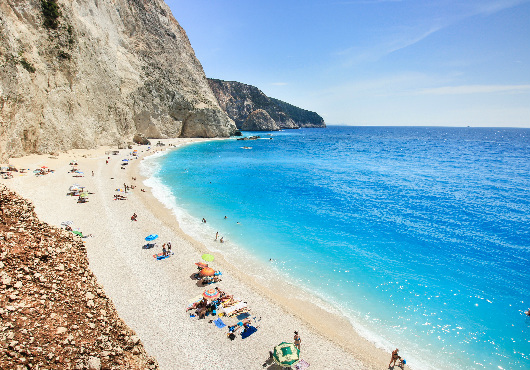 Start heading north again and explore the bays on the south coast of Lefkas. 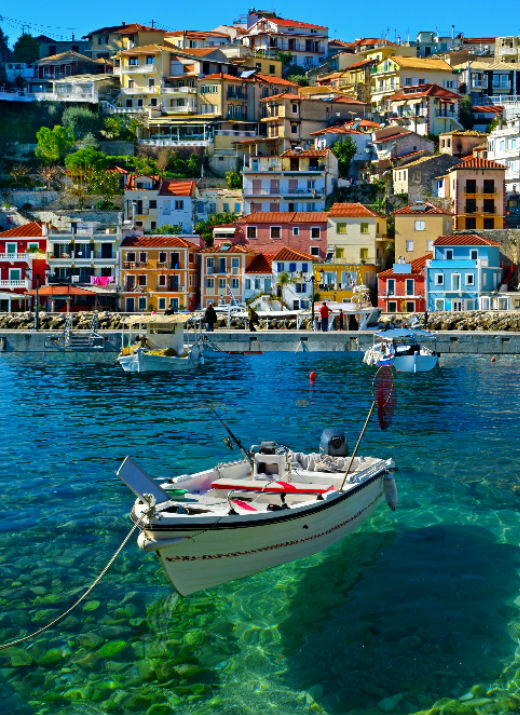 The natural port of Sivota is a popular destination where you can sail. There are numerous traditional waterfront tavernas where you can enjoy local food. Anchor there and spend the night under the dazzling stars along with your friends and family. 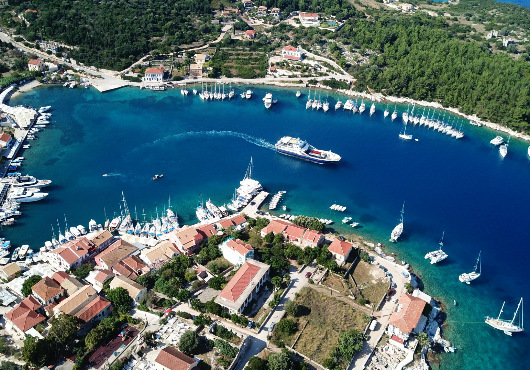 Continue sailing at the clear blue waters of Lefkas and finish the day at Lefkas Marina where you can explore the town of Lefkas and stroll around the alleys. Finish your day with a wonderful dinner at a lovely local tavern.